In 2011, approximately 1,885 individuals were released from state or federal custody each day – that’s 688,384 individuals that year, according to the National Institute of Justice. Returning citizens struggle with unstable housing, inadequate employment and over policing, all issues that often contribute to incarceration in the first place. What can be done to ease their transition back home and back into their communities? Nearly 100 community members, behavioral health professionals, lawyers and law professors, mothers, and returning citizens themselves attended a two-part IMAN Sessions event: ‘Investing in Lives #BeyondIncarceration’. Discussions revolved around IMAN’s Green ReEntry program, and ways it can continue to offer support to returning citizens via life skills training and workforce development. Judge Fatima El-Amin and IMAN Atlanta’s Green ReEntry Manager, Jermaine Shareef, spoke to a packed crowd about their personal experiences with the criminal justice system and reentry work. Various points of view and approaches to the criminal justice system were raised. Tears were shed, hugs were shared, and the conversation ran deep. Community members connected and shared additional information after the conclusion of the first #BeyondIncarceration gathering. 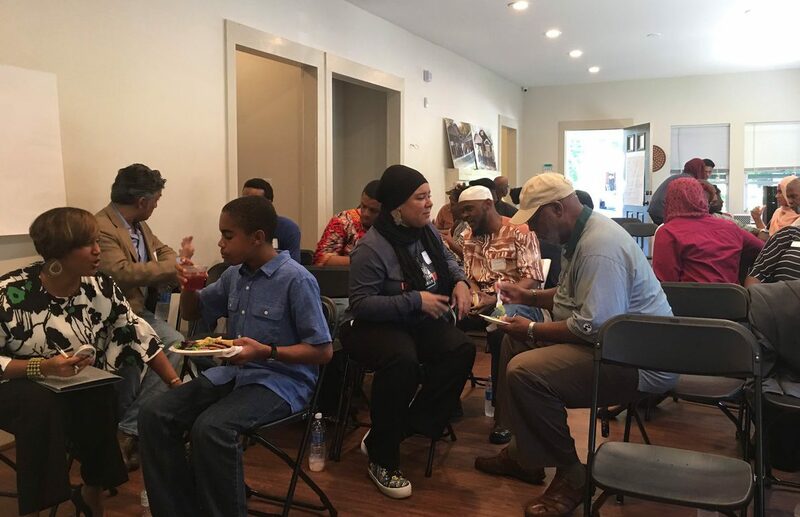 It became evident to IMAN Atlanta staff that the issues around incarceration and reentry require continued committed, grassroots community space. This realization sparked IMAN Sessions: Investing in Lives #BeyondIncarceration Part 2, which took place in late September. At that event, IMAN Atlanta’s second Green ReEntry cohort was introduced, and the action plan created at the first #BeyondIncarceration discussion was made public. Thank you to all the guests who shared their valuable perspectives on how to establish effective reentry programs. 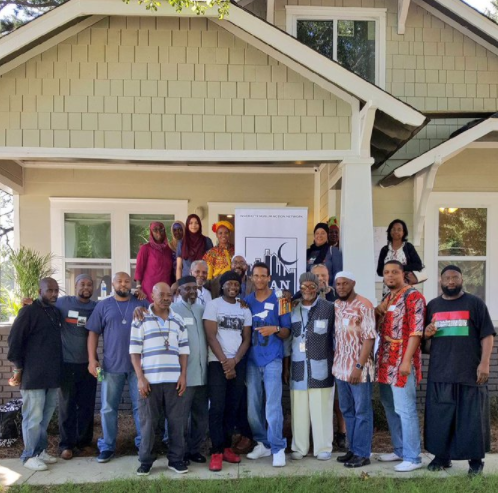 As IMAN incorporates a holistic approach to meet the needs of Atlanta’s returning citizens, the importance of continuing to engage those most directly affected by the criminal justice system cannot be overstated. This entry was posted in Atlanta, Direct Services, One Nation, Organizing & Advocacy by Madiha Abid. Bookmark the permalink.